Deer collisions are unfortunate and common events on our roads. This is especially true for commuters in the Roaring Fork Valley. This natural reaction of deer means that you have a 50-50 chance of hitting a deer if you see one running close to the road. This is why it is very important for yours and the safety of your loved ones to pay attention to road signs and adjust your speed accordingly. 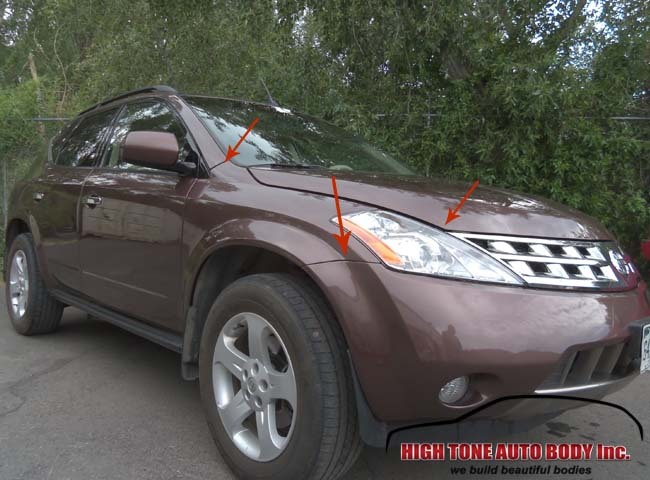 In the image gallery below you can see how much damage a deer collision can cause even with to an SUV like this Nissan. 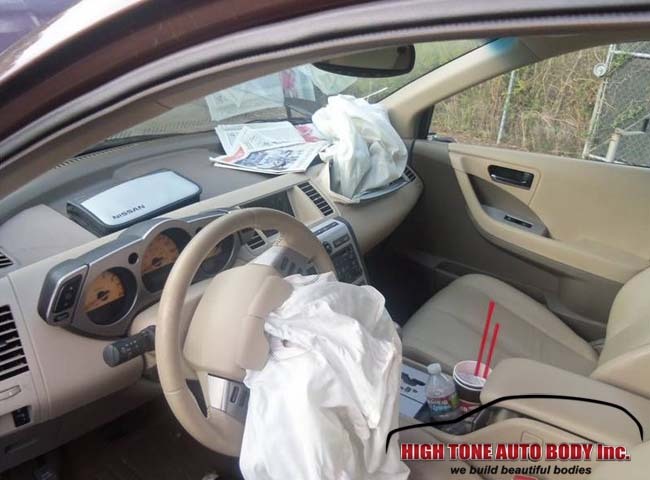 This photo is from the vehicle after the repair. 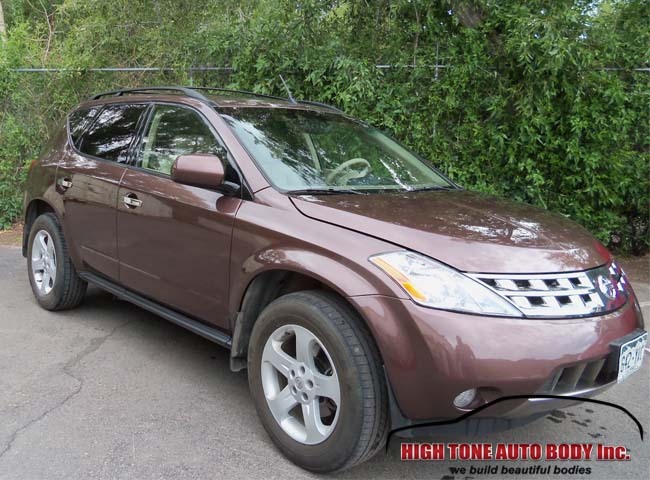 Thanks to the patience and hard work of our skilled auto body technicians, this SUV looks as good as ever. But it wasn’t so when it was towed in. As the image reveals, the deer was obviously coming out of the woods and onto the road when this collision happened. 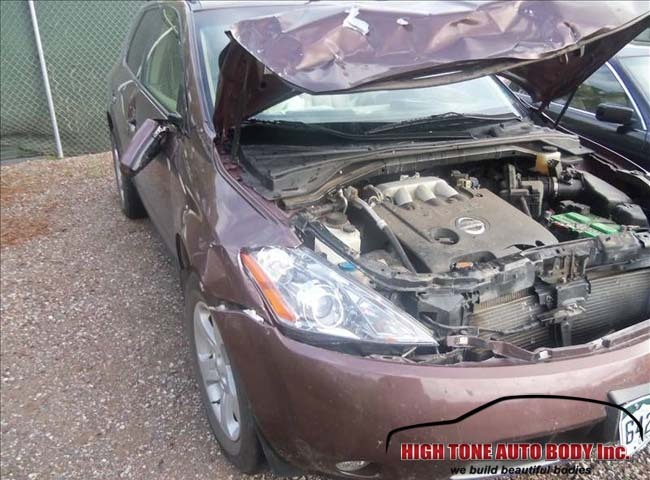 In fact, the distinct damage on the right bumper reveals that this collision was probably caused by the deer “taking off in a random direction”… and ending up in front of this metallic predator. All jokes aside, this bad call the deer made caused significant damage, although the deer itself walked off. Usually, if a driver notices the animal on collision course, things go by without any problems. But in this case, the deer came out of nowhere and the driver did not even have the time to slow down enough to avoid airbag activation. This of course increased the overall damage to the vehicle and its cost. Because of the severity of this animal encounter, the front bumper and hood could not absorb the impact and the engine compartment and radiator were also damaged. 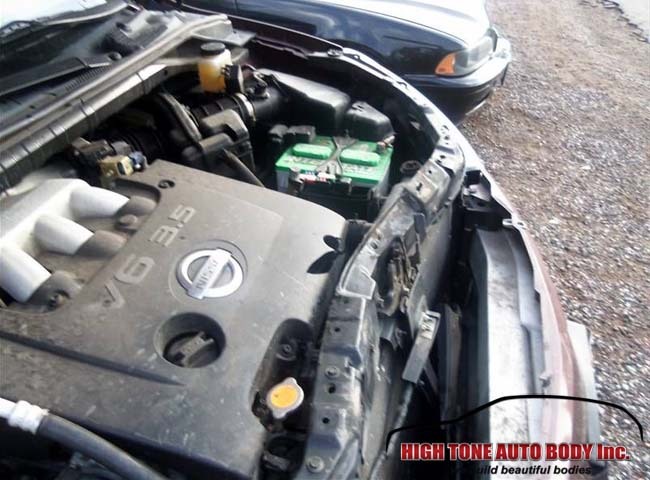 The damage to the radiator was so severe that our technicians had to replace it altogether. The front structural beam of the engine compartment was also damaged and the repair technicians had to replace it, together with several other elements forming the headlight area. 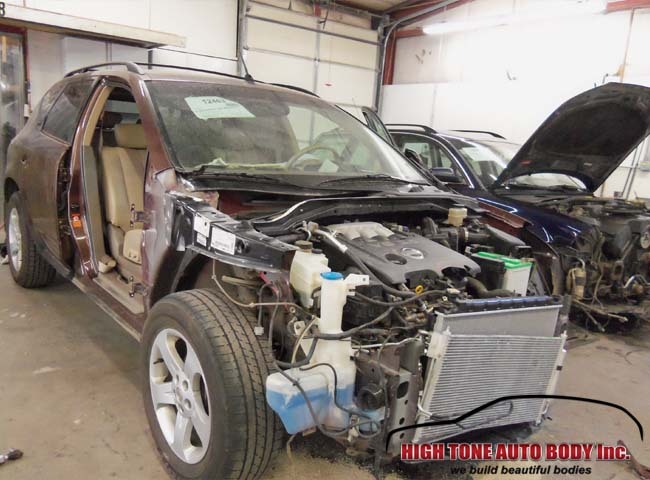 With some technicians working on the frontal area of this Nissan SUV, another technician started working on the front door that was also damaged in the collision. The damage was not severe though, which was good news for the owner. 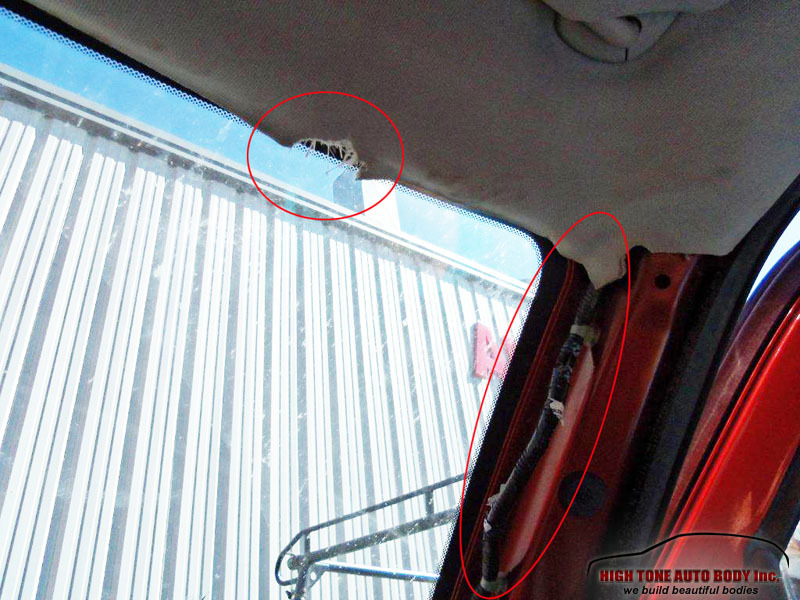 A standard auto body set of repairs restored the like-new appearance of the door, ready for re-installment back on the vehicle where the broken mirror was replaced with a new one. After removing all the damaged panels, technicians started working on the chassis of the vehicle, replacing or repairing any structural beams, the radiator and the radiator protective mesh were also replaced. After all the structural work was done, the Nissan Moriarty was ready for panel replacement. The finished work of this wildlife encounter was excellent. It is very difficult to make all parts fit flawlessly. This takes time, skills and great attention to detail. As you can see from the image below, the lines between different body parts are even. These even gaps are signs of a job well done. As you can see from the image below, the edges between the right bumper, hood and front door are uniform on all their length. 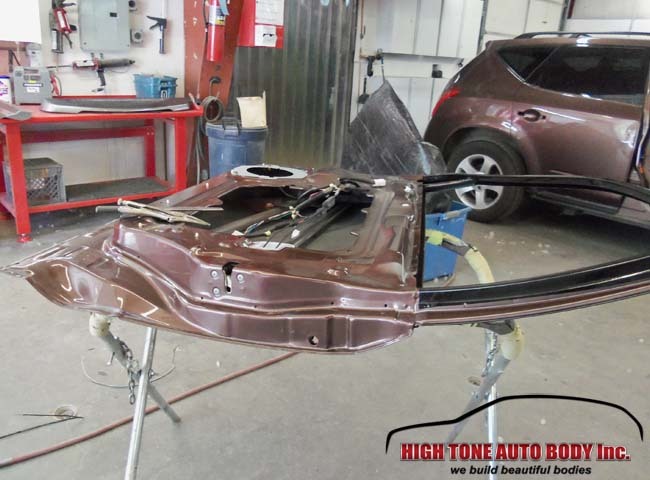 Achieving this precise alignment of all parts is a clear sign that this auto body repair was done by a team of detail-oriented professionals. 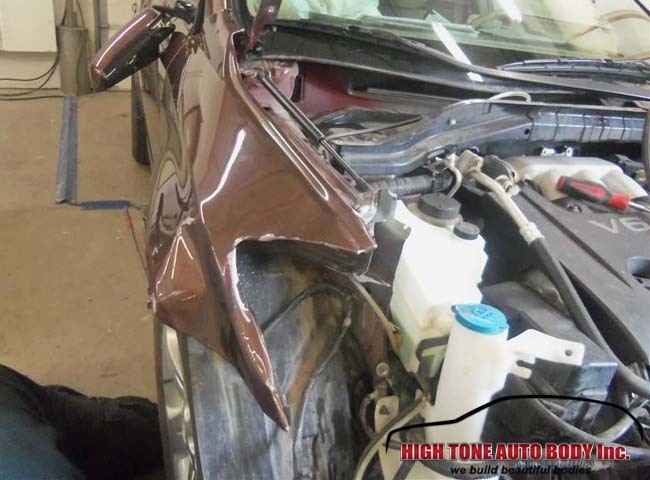 We take pride in being so precise in our auto body repairs. 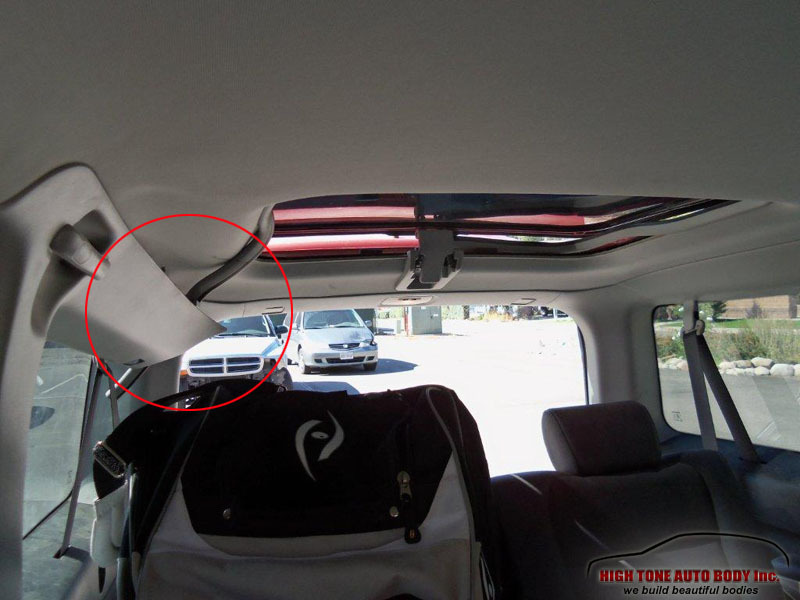 There are very few auto body shops out there that complete their work with this level of attention to detail! 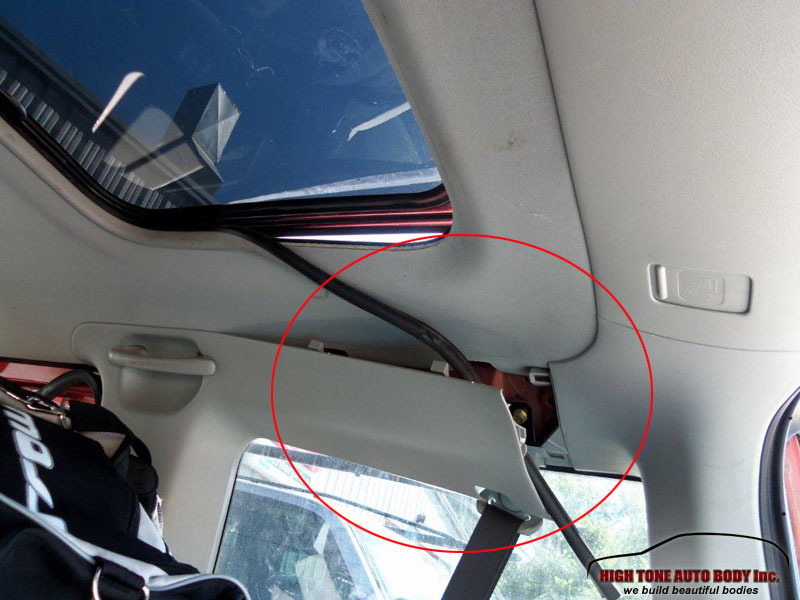 Bear Break-In Car Interior Repair Aspen, CO. Animal encounters are quite often, and in some cases these encounters sound a bit strange…but this is only a reminder that wildlife acts unpredictably and we should be careful in how we leave our vehicles, and what we leave in them. 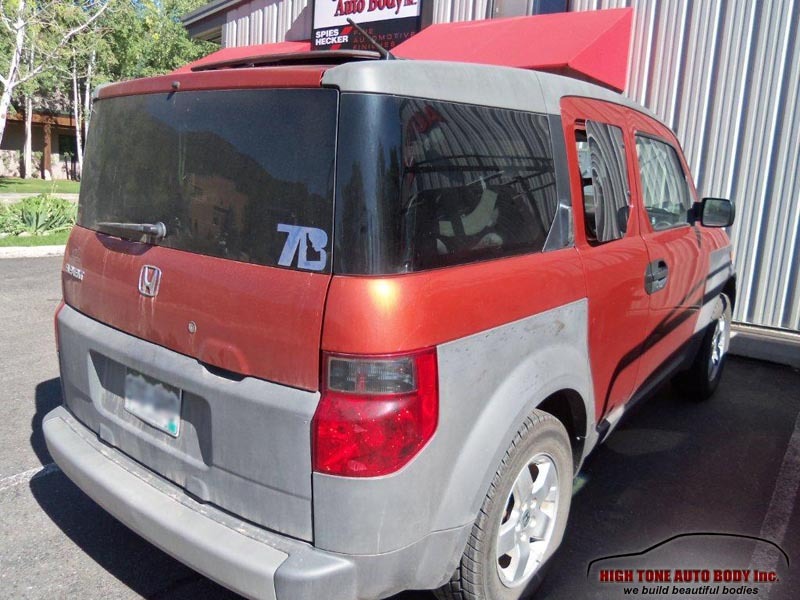 Below is a series of photos from a damage done by a small bear that somehow got locked inside a Honda SUV and did considerable damage on the interior. Luckily, nobody was hurt and the bear had left the car by the time its owners returned. 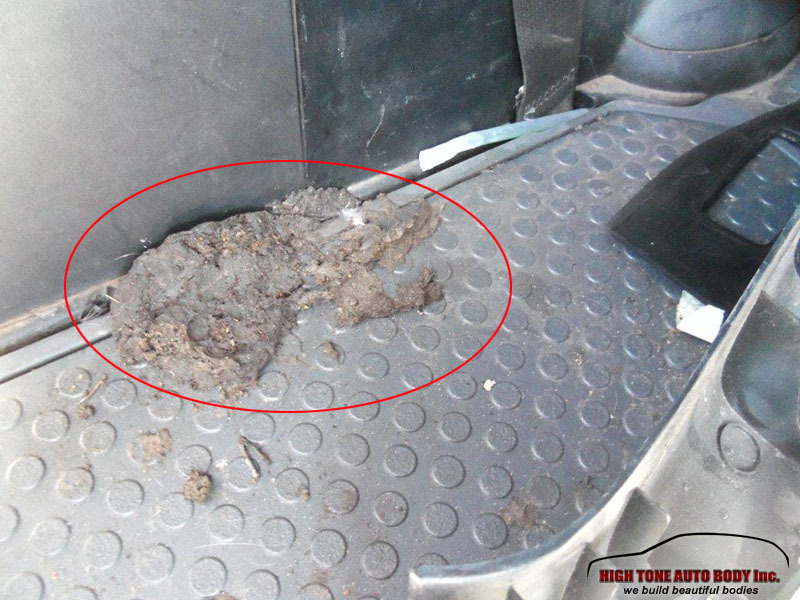 As you can see from the images, the bear that got stuck in the vehicle did quite a bit of damage. On the back seat the bear did some damage on the seats themselves, broke off some trimming in the boot area, took off some plastic panels in the passenger area and broke off the sun roof. Also, it marked the vehicle with its poop in the boot area to make things even worse. The vehicle needed some replacement plastic trimmings, some parts for the sun roof, and a complete interior detailing to get the bad odor out.